HOWEVER, NOT ALL HONEY IS CREATED EQUAL. 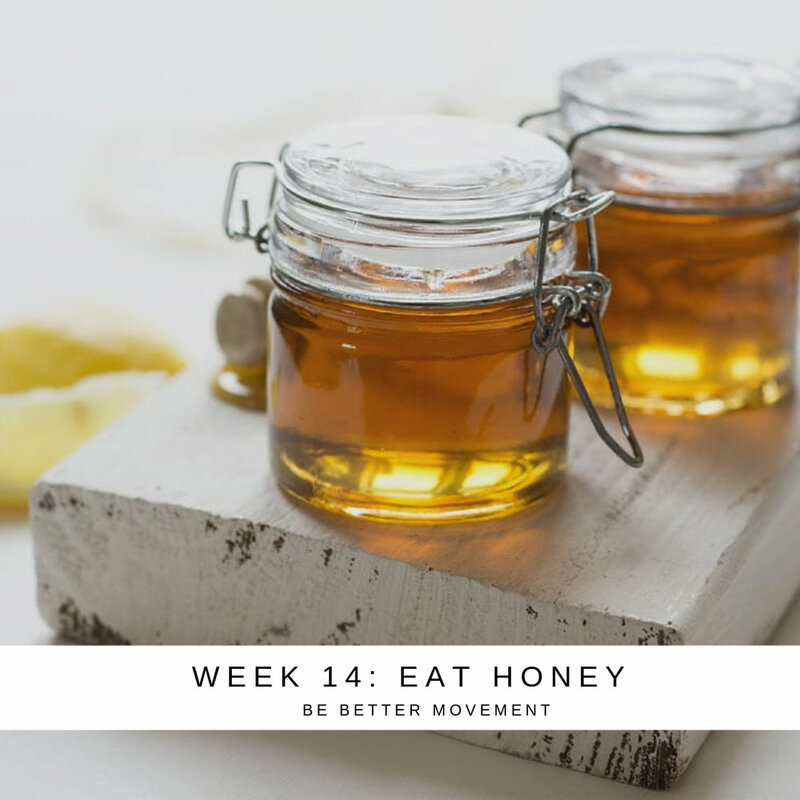 This week’s #bebetter52 challenge is to eat honey, specifically raw local honey. Believe it or not, the artificial honey market is growing due to the rapidly declining bee population and the high cost of honey. Manufacturers dilute this delicious substance with various forms of artificial sweeteners. But eating raw and local honey preserves micronutrients and enzymes that assure many positive health side-effects. So what can we do to help? Olivia Box, beekeeper and honey bee researcher, suggests, "The absolute best thing you can do is buy local honey. Whether it is from your farmer’s market or a friend, supporting local beekeepers is key to making sure we can push artificial honey off the market. Be sure to check your labels for where it is from and what is in the honey." Buying from local farmers also helps the local economy! The FDA recently drafted guidelines that state, “Only manufacturers that do not add sugar, corn syrup or other sweeteners should label their products as “pure honey.” It is also important that we, as consumers, read labels and know exactly what we’re buying. Don’t have access to the label? Rub the honey between your fingers. If it’s sticky, it’s probably fake. - Honey also has antioxidant and antibacterial properties. Honey helps make your digestive system run smoothly and keeps you healthy and free from many diseases. - The antibacterial qualities are especially helpful for moisturizing and nourishing the skin. Check out this beauty treatment recipe for a carrot face mask that contains honey. So grab a jar of the sweet stuff (preferably raw, organic, and fair trade) and have at it! Also by posting a picture of how you used honey this week, #bebetter52 will donate extra money to Every Mother Counts. Let’s all Be Better this week. To this day, Glory Bee remains family-owned and operated in Eugene, Oregon, where they pour their passion for honey into every jar. At GloryBee they strongly believe in the healthful benefits of honey and give their guarantee that their honey is all natural, 100% pure, and of the highest quality.